There are plenty of reasons to buy a compact car, and the lower price tag just happens to be one benefit. They also tend to be easy to maneuver, fit into tight parking spaces and are frequently the most efficient options. 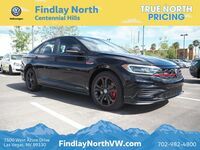 It’s not just new drivers who appreciate the segment, and the 2017 Volkswagen Jetta available in Las Vegas NV makes it even more appealing as it offers a range of options form economical to premium. This means you can have all the benefits of a compact, without any need to compromise. A lot can be learned about an automaker by looking at its compact car. This segment tends to offer the most affordable models, and therefore the ones with the least features or lowest quality materials. That said, when you sit inside the Jetta you’ll learn that Volkswagen prioritizes soft-touch, well-fitted materials for a comfortable cabin. Features center on all the necessities like cruise control, manual air conditioning and a four-corner independent suspension system, plus Bluetooth with audio. There are four trims for the 2017 Jetta, which means a wide range of features. The base model starts off with Bluetooth, a rearview camera, cruise control, LED DRLs and two-tone cloth upholstery, but available features include driver assistance functions, dual-zone climate control and VW Car-Net. The hybrid powertrain is gone for 2017, leaving the 1.4T, 1.8T and 2.0T 4-cylinder engines as the total options. The base engine delivers up 150 horsepower and 184 pound-feet of torque. Higher trims receive the 170-horsepower 1.8T, and the GLI SE has the 210 horsepower 2.0T for even more power. What does compact mean for interior space? The 2017 VW Jetta comfortably seats up to five in its 94.1 cubic foot cabin. When it comes to loading up the day’s purchases, you can depend on the 15.7 cubic feet of cargo space, plus 60/40 split rear seating makes it easier to load awkward cargo. This year doesn’t bring any big changes to the Volkswagen Jetta, as both the design and engines are the same. The key difference is a new arrangement of trim levels, and the removal of both the Jetta Hybrid and Sport from the lineup. This simplifies the trim hierarchy to just four trim levels: S, SE, SEL and GLI. Features for the base S trim level include the same ones seen in 2016, such as 4-corner independent suspension, Bluetooth with audio, a 5-inch MIB II infotainment system with USB port, manual air conditioning and cruise control. Added to these for 2017 are 16-inch wheels (upgraded from 15-inch ones), a rearview camera, LED DRLs and two-tone cloth upholstery. Each trim level sees a similar pattern of added features, with the SE adding on Car-Net connectivity, a sunroof, V-Tex leatherette and a blind-spot monitor with rear traffic alert, the SEL gaining a power driver’s seat, exterior chrome accents dual-zone climate control and standard forward collision warning and adaptive cruise control. Volkswagen already offered a quality option to the compact segment, but features are only adding more value to the model in 2017. Find out for yourself when you stop by Findlay North Volkswagen, located in Las Vegas, NV.